Breast augmentation surgery is a procedure that resizes the breasts to result in a fuller look. It is generally known to be one of the most desired cosmetic surgeries, providing women who dislike their breasts to look at effective opportunities for improvement. With the help of implants or fat from the patient's body, this enhancement surgery improves breast shape and size, and it results in an attractive and youthful outcome. Ashburn, VA board-certified plastic surgeon Dr. Michael J. Brown is experienced in implementing this treatment and performs numerous breast augmentations every year. When you have your consultation at The Loudoun Center for Plastic Surgery, Dr. Brown will assess your aesthetic desires and concerns and inform you of all of the choices available while also customizing a treatment plan to reach your personal goals. During your initial consultation with Dr. Brown, the appropriate implant will be selected based on your body size and shape, as well as the results you hope to attain. Implants for augmentation are made in an assortment of shapes, sizes, textures, and profiles — each of which is considered carefully in order to reach the wanted look. Still, the most commonly used implant types are silicone or saline, both widely popular and approved by the Food and Drug Administration (FDA). An important fact is that individuals considering implants made with saline must be at least 18 years old while patients must be a minimum of 22 years old in order to undergo treatment with silicone. Other considerations include a form-stable implant known as a gummy bear implant and fat grafting (known as a fat transfer). In addition to the type of implant used, there are other distinct factors to decide. Breast implant size is distinguished based on the cubic centimeters (CCs) of saline or silicone used. To understand the right volume, Dr. Brown will measure how much native breast tissue exists and the size you hope to achieve. In the operating room, it is normal for Dr. Brown to temporarily switch out various implants to get a better idea on a suitable fit. Implants come in either a teardrop or round shape. Both of these shapes are widely used; however, most of our patients select a round implant. It generally looks and feels more natural while adding fullness to the top of the breast that a majority of patients look for. During your initial consultation, Dr. Brown will understand your desired results in order to formulate the best plan for the procedure. We understand all of these considerations may be overwhelming, but selecting the appropriate implant is somewhat easy once the patient's desires are understood during the consultation. These considerations, coupled with the training of Dr. Brown, help to ensure the anticipated outcome is met. "Dr. Brown's office is professional, immaculate and peaceful. His staff is friendly, caring with excellent communication. It was a wonderful experience. I would highly recommend it, I wish I hadn't waited. Dr. Brown is the best!" "How long was your wait to be seen?- Less than 15 min. General impression of the office- Friendly/clean Impression of the staff- Friendly Overall experience at our facility- Excellent"
"Wait to be seen- Less than 15 min General impression of the office- Very nice, clean, nice staff General impression of the staff- Very nice and helpful Rate your overall experience- Excellent Feedback- Great facility and staff!" The decision to go through with breast augmentation is personal. If you are thinking about undergoing this procedure, it is essential you do it for yourself and nobody else. You should be healthy with breasts that are fully developed and be the proper age to receive implants. If you are unhappy with the overall appearance of your chest because they seem lifeless, you could benefit from this cosmetic breast treatment. Moreover, if your breasts have changed due to aging, nursing, or weight loss, this surgical procedure can give them life with increased shape and fullness. It is a welcomed option if you work out with weights or have little to no original breast mass. During breast augmentation, the chosen incision is created and then the appropriate breast implant will be placed into its position. There are two techniques that may be chosen for implant placement. These are either under the pectoral muscle or behind the breast tissue but over the pectoral muscle. Where to insert the breast implant depends on varying factors, including the overall type and size of the implant, along with the expertise of Dr. Brown. No matter where the incision is placed, scarring is often hidden within the natural creases and lines of the body. Placement and location are based upon your implant size, activity level, and body type. Breast augmentation is an outpatient procedure with the patient under general anesthesia. 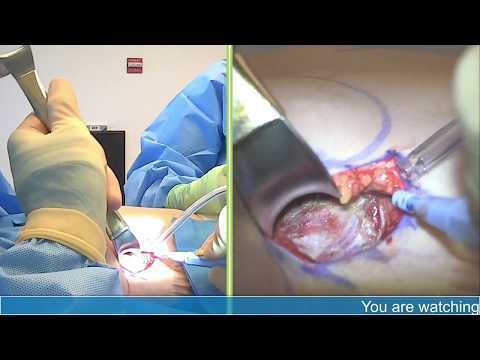 Following the incision, the appropriate implant will be moved through the incision opening and deposited into a surgically created pocket, and then secured into its correct position. Once the implant is in position, the incision is carefully secured with skin adhesives or sutures. Each patient will be taken to a private recovery space and carefully monitored and screened prior to being released. You will be instructed to continue wearing a recovery compression bra to help reduce swelling. Several days after surgery, the bruising and swelling will begin to slowly go away, and the breasts will start to look and feel normal as they fall into their new position. While individual results vary, most patients can engage in everyday activities within a few days; however, physical exertion, such as exercise, should be delayed for at least a couple of months. Breast enhancement surgery results in gorgeous outcomes that feel and appear both normal and natural. This procedure oftentimes can be life altering for many women, offering them the opportunity to feel more comfortable in their own skin. Your cost for breast augmentation will vary, depending on your choices and whether you are undergoing any other surgeries. As soon as your treatment plan is created, Dr. Brown will go over estimated costs, as well as financing. To make sure you are happy with your results and they last a long time, it is better to focus on quality over low costs. Your plan might include implants, a lift, or both. Breast lift surgery removes loose skin and raises the breasts while implants enhance the shape and size. In your consultation with Dr. Brown, he will listen to your concerns and goals before discussing your treatment options. An augmentation and lift are usually included in a mommy makeover to revitalize the breasts after breastfeeding and pregnancy. If you might want to breastfeed after augmentation surgery, talk to Dr. Brown during your consultation. 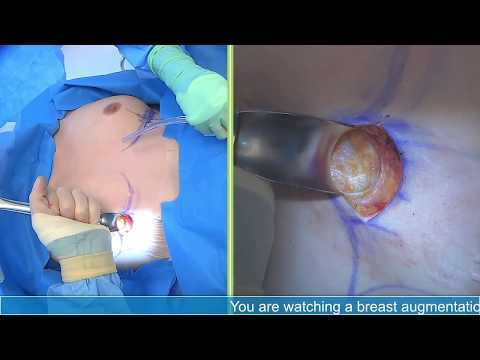 It is usually possible to breastfeed after augmentation surgery with the right placement and technique. Breastfeeding and pregnancy can affect your results, which is why it is better to wait until your family is complete to receive breast surgery. You might decide that you would like to remove or replace your implants. Should this happen, Dr. Brown offers breast revision surgery. 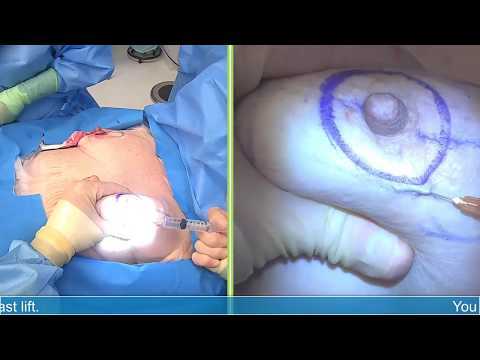 In revision surgery, your old implants will be either replaced with different implants or removed. If you want to have your implants removed, you might need to have a breast lift because larger implants may stretch your skin. For any concerns or questions after your augmentation surgery, schedule a consultation at The Loudoun Center for Plastic Surgery to learn more about your options. The FDA (Food and Drug Administration) is investigating a link between implants and ALCL (anaplastic large cell lymphoma). This is not breast cancer; it is a cancer of the immune system. According to WHO (World Health Organization), implant-related ALCL is very rare and if caught early, it is highly treatable. Dr. Brown encourages all patients with implants to receive frequent screenings for breast cancer. You should contact The Loudoun Center for Plastic Surgery if you notice any concerns, such as swelling. Breast enhancement surgery with implants is well sought out for many excellent reasons. This treatment is considered safe and creates beautiful aesthetic results. With numerous available considerations, you can obtain the bustline you have always wanted. The Loudoun Center for Plastic Surgery is pleased to offer this proven surgery, and we welcome you to learn more. Contact our state-of-the-art facility in Ashburn, VA to schedule your initial consultation with Dr. Michael J. Brown.